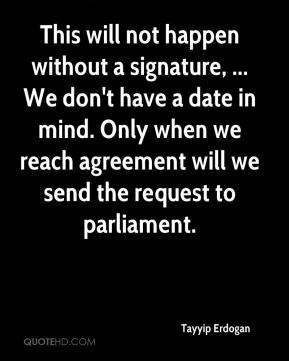 This will not happen without a signature, ... We don't have a date in mind. Only when we reach agreement will we send the request to parliament. It's ridiculous to call this bargaining for dollars. 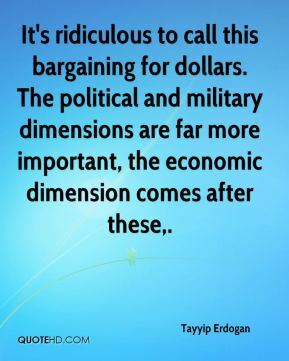 The political and military dimensions are far more important, the economic dimension comes after these. 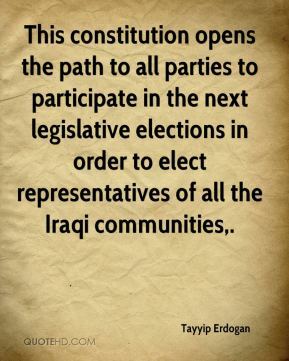 This constitution opens the path to all parties to participate in the next legislative elections in order to elect representatives of all the Iraqi communities. 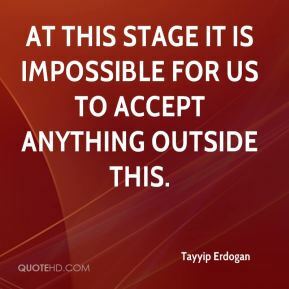 At this stage it is impossible for us to accept anything outside this. 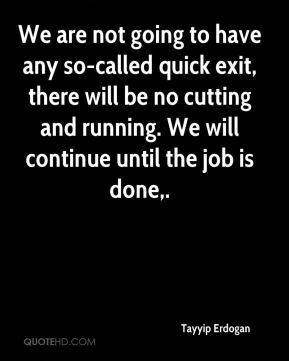 We are not going to have any so-called quick exit, there will be no cutting and running. We will continue until the job is done. 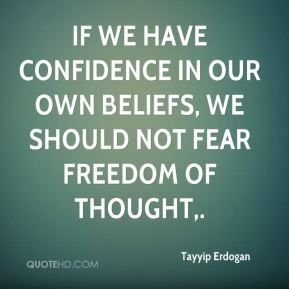 If we have confidence in our own beliefs, we should not fear freedom of thought. There are those in the EU who are victims of fanaticism. There are those who cannot free themselves from prejudice. There are those who look at Turkey in a funny way. 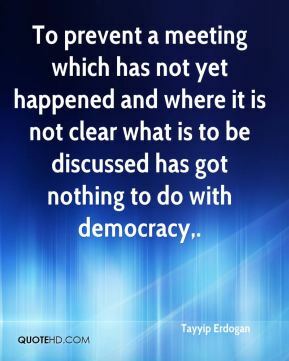 To prevent a meeting which has not yet happened and where it is not clear what is to be discussed has got nothing to do with democracy. 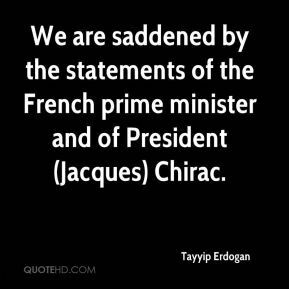 We are saddened by the statements of the French prime minister and of President (Jacques) Chirac. 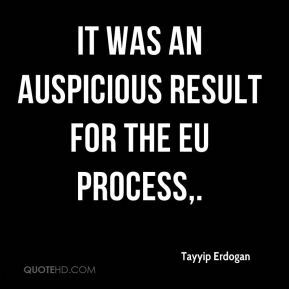 It was an auspicious result for the EU process. 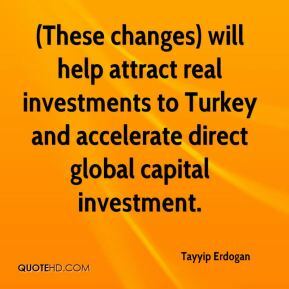 (These changes) will help attract real investments to Turkey and accelerate direct global capital investment. 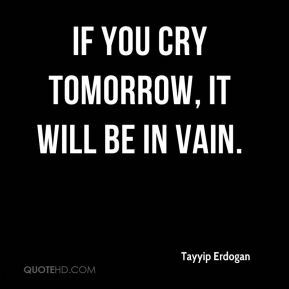 If you cry tomorrow, it will be in vain.